What is a SmokeAnywhere E-Cigarette? 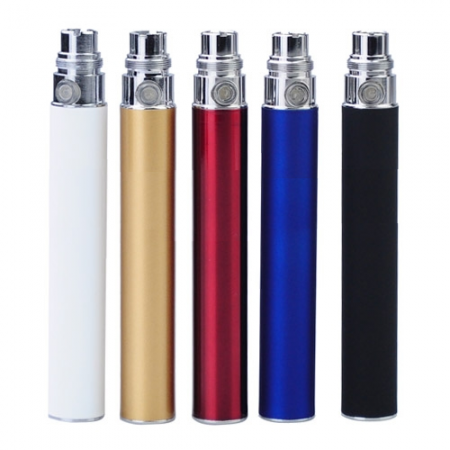 The Smoke Anywhere e-cigarette (also known as a smokeless cigarette or a vapor cigarette) offers smokers an unparalleled smoking experience. It’s high smoke volume, rich flavor and robust vapor, offers one of the most enjoyable smoking pleasure available today. 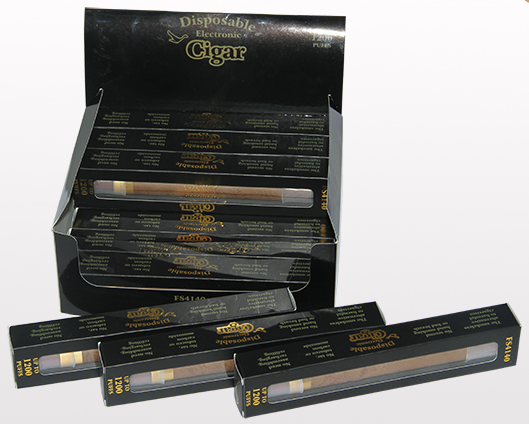 It Smokes just like a traditional cigarette – simply inhale (take a puff) and enjoy the flavor and nicotine smokers crave. 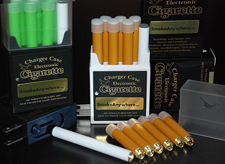 At the tip of the electronic cigarette you will find a cartridge that looks like the filter of a traditional cigarette. This filter look-a-like is the cartridge commonly call a cartomizer which is where the smoking liquid (nicotine) & flavor is held. 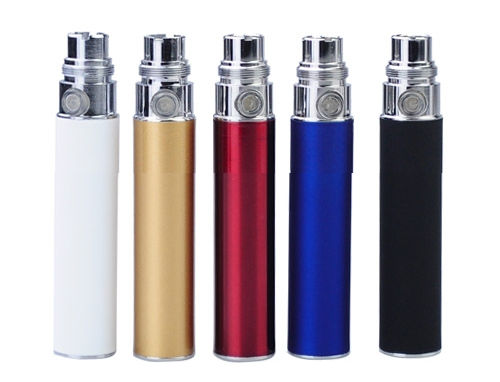 When you inhale (puff), the battery electronically activates the internal heating element, known as the atomizer, and the smoking liquid & nicotine is vaporized into a robust vapor mist. This cartridge that is pre-filled with smoking liquid (nicotine & flavors) and comes with a built-in atomizer is called an cartomizer. 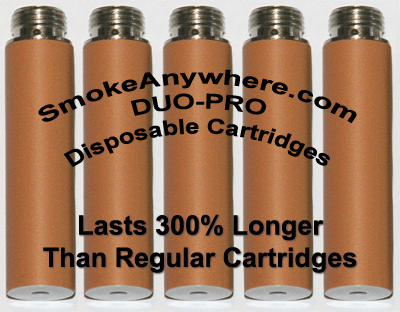 SmokeAnywhere Electronic Cigarettes consist of 2 pieces: a long lasting rechargeable battery and a Cartomizer. The Cartomizer is designed to maximize flavor and provides one of the highest smoke volumes in the industry. 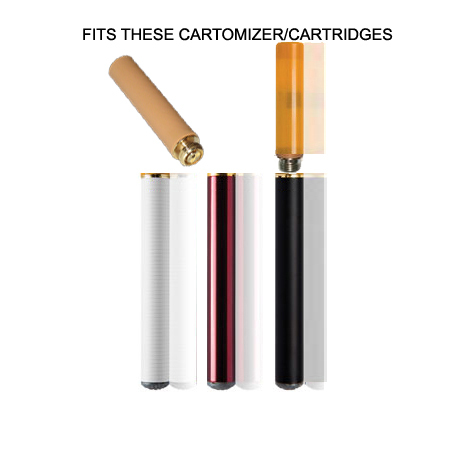 Each Cartomizer is comparable to 33 cigarettes about 1.5 packs of traditional cigarettes and features simple screw-off, screw-on cartomizer replacement. 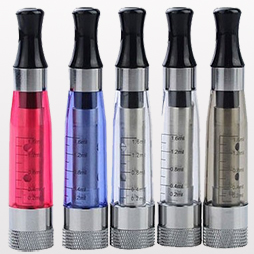 Older models consists of 3 components whereby the liquid and atomizer were separate components. SmokeAnywhere Black Hawk Tank Series Electronic Cigarettes consist of 2 pieces: a long lasting rechargeable battery and a refillable tank Cartomizer. The Cartomizer is designed to maximize flavor and provides one of the highest smoke volumes in the industry. 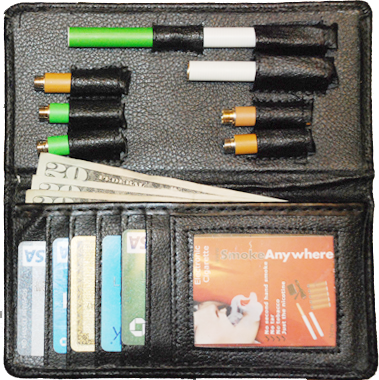 SmokeAnywhere Vapor Cigarettes will leave you smelling clean and fresh, free from the traditional tobacco smells. Your clothes, your home and your car will no longer smell like an ash tray and you can say good bye to smoker’s breath too. SmokeAnywhere Vapor Cigarettes (Electronic Cigarettes, Smokeless Cigarettes) also contain no tar, no tobacco, or 99% of the 4000 chemicals found in traditional cigarettes. 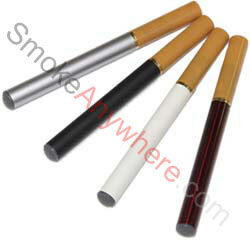 SmokeAnywhere Electronic Cigarettes can be virtually smoked in many places where traditional cigarettes are banned. 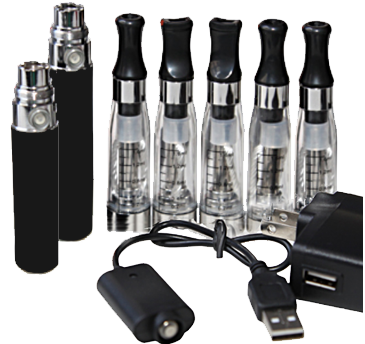 Each Electronic Cigarette Starter Kit gives you everything you need to get started. 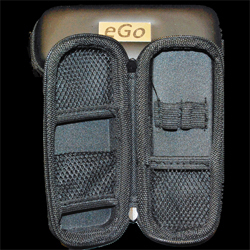 Why not order one today and begin to experience the true pleasures of smoking! Smoke Anywhere, Smoke Anytime. 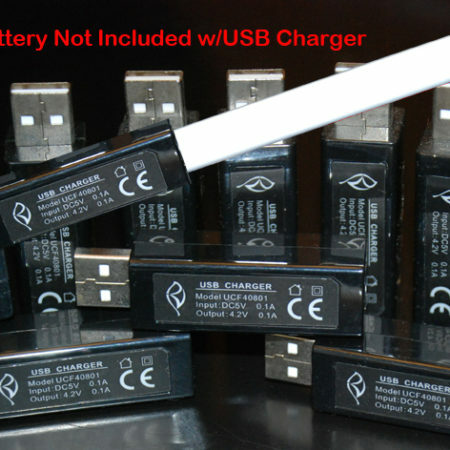 E-Cigarettes distributed by SmokeAnywhere.com are intended for use by adult smokers only. eCigarettes are not intended for pregnant or breast feeding women, nor are they intended for anyone who is sensitive to nicotine, or has (or is at risk of) heart disease, high blood pressure or diabetes. 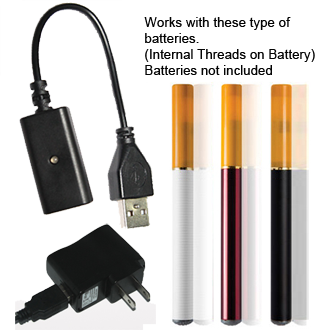 eCigarettes are not intended for or anyone taking medicine for depression or asthma. If you have a demonstrated allergy or sensitivity to nicotine or any combination of inhalants, consult your physician before using this product. These products contain nicotine, which is highly addictive, and may be dangerous to your health. The state of California has deemed the chemical nicotine to cause birth defects or other reproductive harm. eCigarettes distributed by SmokeAnywhere.com offer smokers a tar-free and tobacco-free way to enjoy smoking. 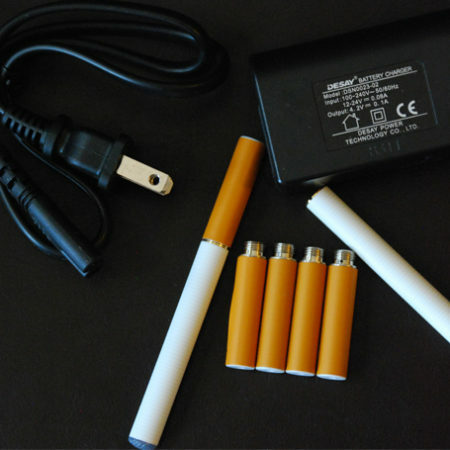 eCigarettes distributed by SmokeAnywhere.com are sold and marketed as an alternative to traditional cigarettes, but are not intended as a smoking cessation device, or an aid for smoking cessation. Keep eCigarettes, parts, accessories, and components out of reach of children. 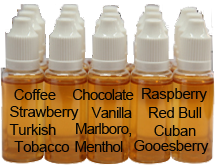 eCigarette products have not been approved by The Food and Drug Administration.